There are still many people who own those old record playing vinyls and some even buy and collect them as souvenirs of the old genre. It’s a great investment alright but of course to further enjoy the music, you need to have a turntable, well unless you plan on just storing them as display in your living room. In this modern day where technology has risen to powerful and great lengths, a turntable is considered an antique. So, what will you do with those old vinyl records that you spent so much money on when you were young? Don’t be dismayed, let me introduce you to USB Turntables! Yeah you read it right, turntables have now become high-tech! We’re used to seeing televisions, DVD players and even gadgets that have USB connections. Now, you can transfer your old vinyl records to your computer and preserve them on your display rack. Of course listening to a live vinyl record is incomparable because of the sound qualities that sort of hiss and that particular noise of the needle, but at least you can also convert them to MP3s and play it anywhere using your mobile phone or tablet. 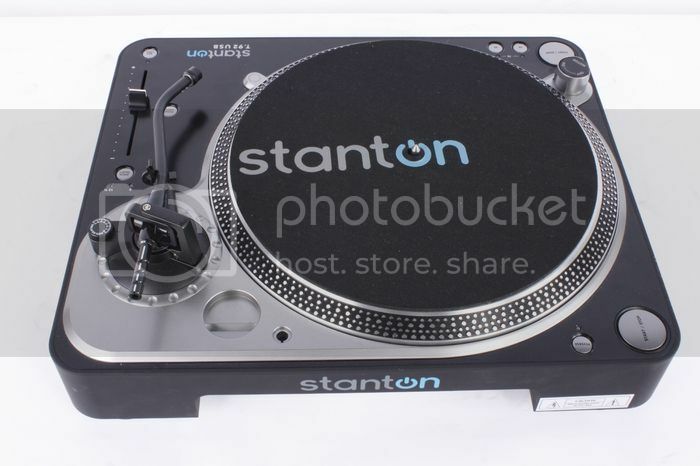 Check out this Stanton USB Turntable. Isn’t it an amazing technological breakthrough? There are more turntables at musicians friend you can browse and see if you need one to transfer your old records. I have my own collections going way back my father’s genre and I sure don’t like to see them go to waste especially that some of the songs are not being released to a CD version anymore. I’m sure my dad will be pleased to hear his old time favorites again, though this time via his mobile phone. Go check it out and see the wonders of technology. Low Cost Industrial Products Now Within The Budget!